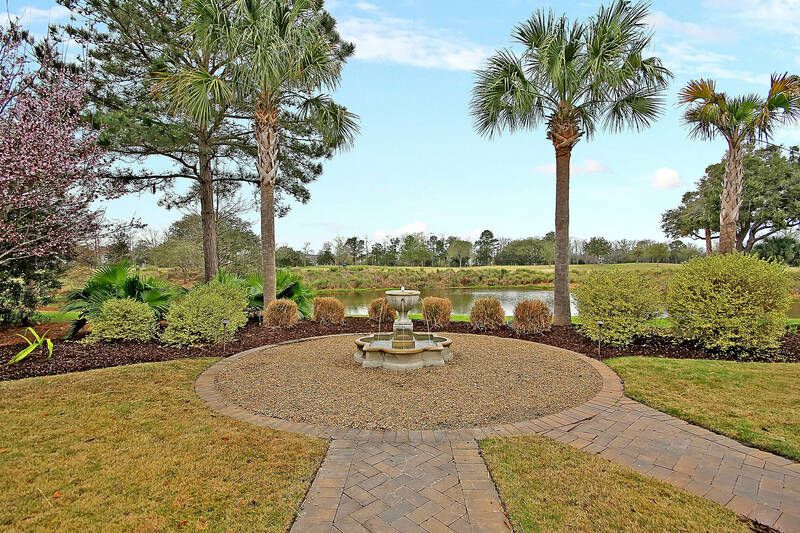 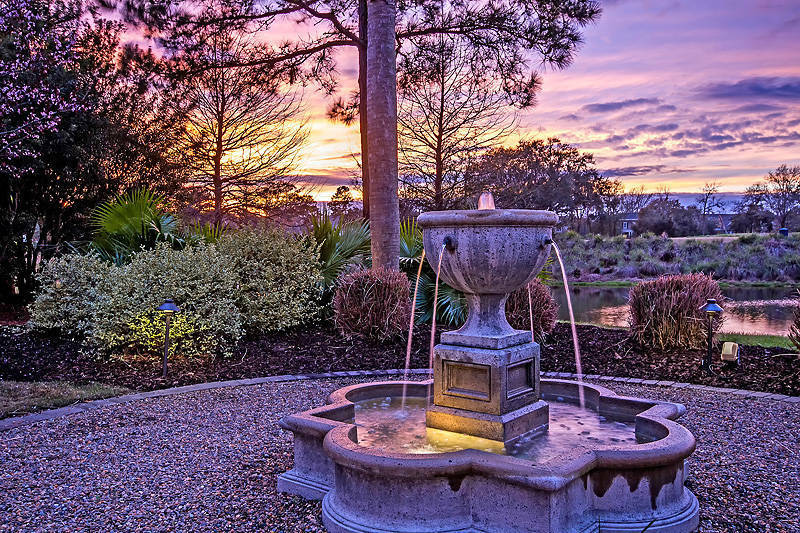 Backing to a peaceful pond and the 7th tee of the Ralston Golf Course, this stunning custom home on Daniel Island is truly a sight to be seen. 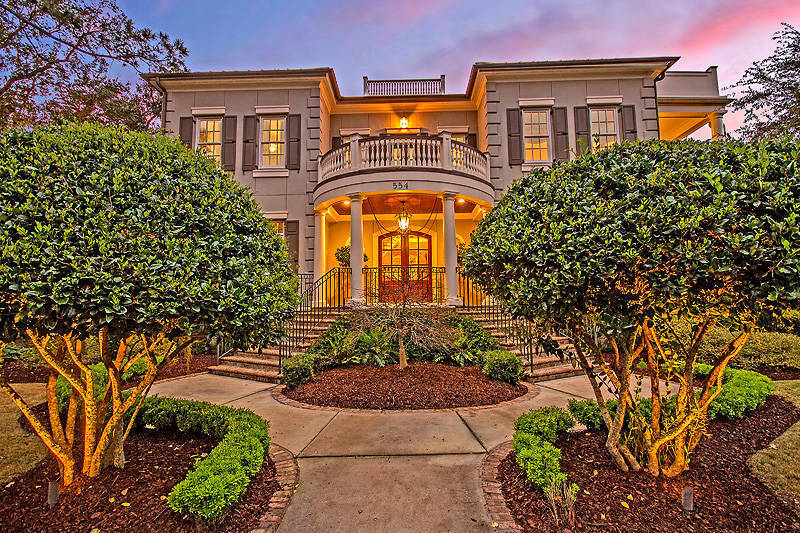 Mature landscaping, a stucco exterior and wrought iron front porch welcome you to this magnificent home. The home's construction is the perfect blend of form and function lending itself to luxurious, comfortable living for everyday while also perfect for entertaining. 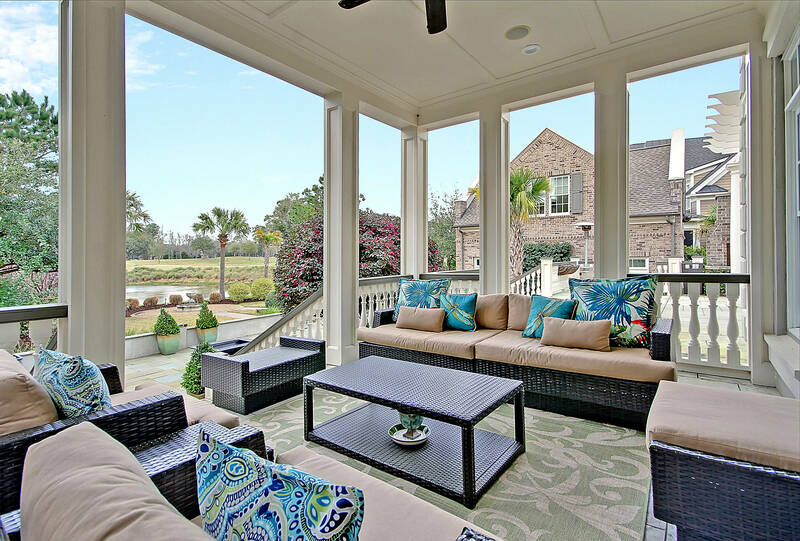 The grand foyer boasts a curved staircase, there are two equally impressive master suites, a walk-in, climate controlled wine room, fully functioning bar, an amazing private apartment in the FROG and patios and balconies galore that take outdoor living to a whole new level. 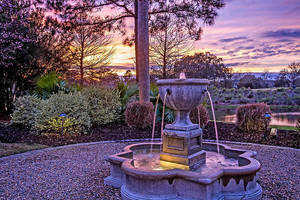 The park-like, 0.42 acre lot offers views that never grow old and promote tranquility in this backyard oasis! 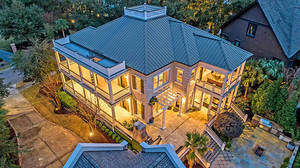 Additional features include:-Certified Pre-Owned-Gourmet kitchen features a center island, double ovens, warming drawer, ice maker, butlers pantry, walk-in pantry, two sinks, tile backsplash, exposed wood beams and shiplap on the ceiling and a spacious eat-in area-Formal dining room has floor to ceiling wainscoting and a lit tray ceiling-Mahogany first floor office with trim work on the ceiling-Living room has a coffered ceiling, fireplace, built-ins and double ceiling fans-First floor master has a fireplace, lit, tray ceiling, two walk-in closets and a luxurious master bath with dual vanity, soaking tub and massive, walk-in shower-Elevator leads to the second level-Secondary bedrooms have high-end en-suite full baths and great storage-Game room has a fully functioning bar and access to the veranda -2nd level master suite has a lit, tray ceiling, walk-in closet with custom built-ins and an en-suite bath with dual vanity, soaking tub and walk-in shower with gorgeous tile/stone work-Third level has the expansive bonus storage area, wine tasting room and wine room-FROG has a full kitchen and full bath perfect for in-law suite or rental potential-Outdoor kitchen-New windows-New aluminum clad doors (2014)-Whole house generator-Tons of climate controlled attic storage space-Under home encapsulation and dehumidification system-Security system-Kangen water machine-Daniel Island Park amenities include - 2 private golf courses, 2 resort style pools, state of the art fitness center, miles of walking/biking trails, multiple playgrounds, community boat dock, shops, restaurants and the Volvo Tennis Center -- a great venue for concerts and sporting events! Book your showing today!